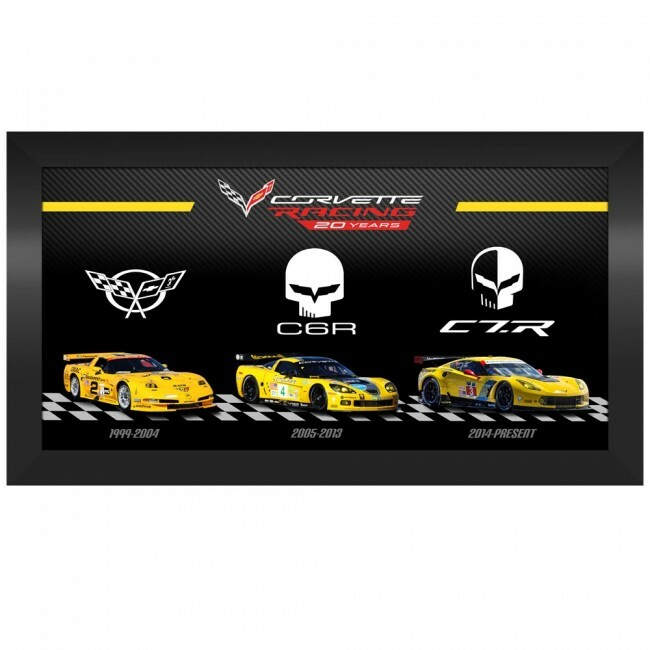 Commemorate 20 Years of Corvette Racing with this eye-catching print featuring the Corvette Racing cars from 1999 to 2018, as well as the evolution of the iconic Corvette Racing and "Jake" logos. Mounted and protected under glass and perfectly matched with a black Bison Wood frame. Arrives ready to hang. 16"H x 28"W. Made in the U.S.A.